(October 20, 2005) -- First Drummond, then Colonna, then Foster. 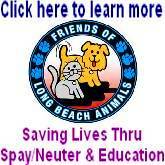 LB's Mayoral candidates are now all on the internet. "I am committed to drastically increasing the number of wireless zones in this city. 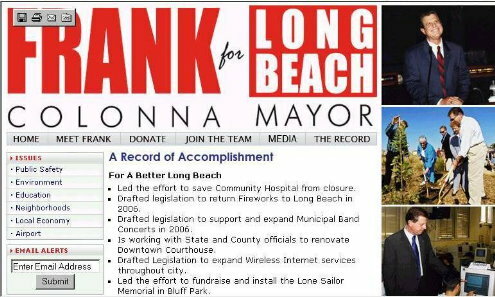 Long Beach deserves the latest technology, and as Mayor I will deliver," Colonna said, pointing to his plan for a city-wide over-the-air network that could offer all residents access to the internet. 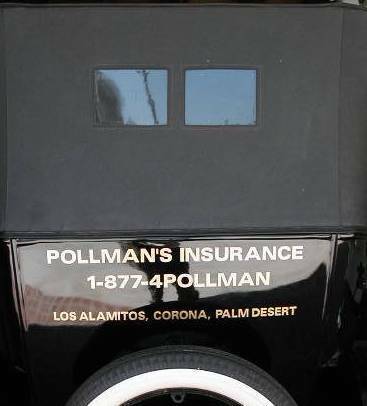 Retired LB Councilman Doug Drummond, first to file papers entering the 06 Mayor's race, was first to utilize the internet. 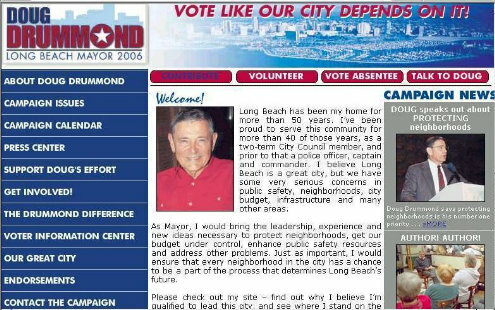 He's had his campaign website -- www.drummond4mayor.com -- up and running online since July 1. 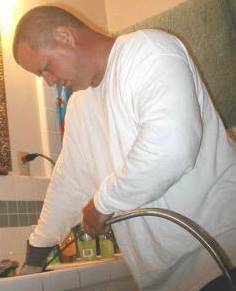 Told about the Colonna website launch, Drummond campaign consultant Tracy Kittinger responded, "Our internet website has been up and running for months. I think the other guys are a day late and a dollar short." 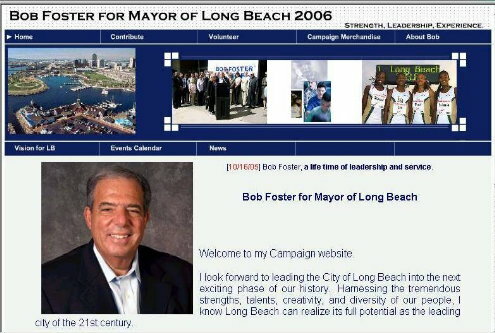 After learning of Colonna's planned launch, former SCE president Bob Foster's Mayoral campaign, which had a website in preparation -- www.foster2006.com -- hurriedly put it online. It includes in-motion color photos (if you've downloaded Macromedia software to see them) but was the thinnest in substance when we checked. It also includes merchandising-style fund raising items including Foster for Mayor coffee mugs and wearing apparel. "It's up and we'll be adding to it," said campaign volunteer Mark Taylor. In March, a Pew study indicated that in the 2004 election cycle, the internet became a key force in American politics as fully 75 million Americans -- 37% of the adult population and 61% of online Americans -- used the web to get political news and information, discuss candidates and debate issues in emails, or participate directly in the political process by volunteering or giving contributions to candidates. People cited convenience as the main reason they get political news online...but more than half like the internet because they say they can get information online that's not available elsewhere and because they do not get all the information they need from traditional news sources. 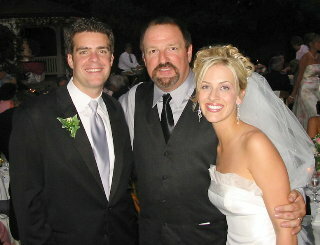 LBReport.com has launched a front page feature (www.lbreport.com) -- LB's Choice: 2006 -- offering bona fide LB candidates an opportunity (similar to print paid political ads but with internet depth and speed) to communicate detailed campaign news directly to our online news consumers. The Drummond Mayoral campaign is the first to use this [example, click here]; a number of Council district campaigns have indicated plans to follow suit in the coming months.